Pablo Villalta was fast efficient and informative. Best of all he fixed the washer! Professional service. Scheduling of appointment not so great though. The first time I booked my appointment I got a confirmation but 2hrs before they canceled (service man called in sick). Second time they switched the appointment time on me (I was told I had an afternoon appt and then I got a confirmation that it was a morning appt) so I had to reschedule. I again request an afternoon appt but got a confirmation the night before that it was for the morning. I was able to make it happen, so I kept the appt. The service man (Jaime Garcia) called a half hour before he arrived like I was told her would. He was very professional, considerate and knowledgeable. As it turns out, my machine needed $700 in repairs (the washer was making loud jet like sound when spinning). I decided not to do the repairs as the machine was still working fine (although loud) and cleaning good and I just decided to use it until it dies and then buy a new one. Mr. Garcia informed me when he called that the service call itself was going to be $110 whether or not I did any work. I was fine with that as I needed to know one way or the other what I was going to do about the machine. I would use Paradise again as I was very impressed with Mr. Garcia. The only thing I was not happy about was the scheduling/appointment method that they use. The company was excellent in providing shorter show window and technician called 30 minutes prior. Mr. Garcia has a very friendly attitude, was able to answer my concerns and provide solutions to the problem. He is a real asset to the company. The visit was covered under warranty by Whirlpool. Truly excellent service and very reasonable! 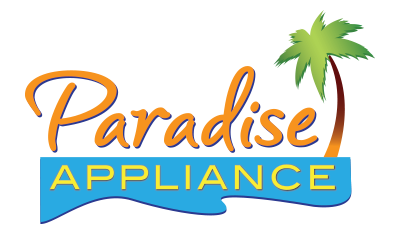 Pablo was the repair technician from Paradise Appliances and we couldn't ask for better service. REFRIGERATOR WHIRLPOOL ET1MHKXMQ04 checked the refrigerators temps and they checked out good the fridge when i got here was in defrost mode .the temp of the freezer as im leaving is 12 degrees .its lowering .customer says the the fridge stops working i explained that is the defrost cycle and that he does not have to be alarmed all fridges have a defrost cycle where the fan and everything stops this is a 2006 unit. REFRIGERATOR SBS WHIRLPOOL WRS571CIDM02 "found bad diffuser , making noise and remaind open all the time , just replaced , now its ok tested fine , use authorization # wigubigepl1." WASHER WHIRLPOOL WFW5090GW helped jg.